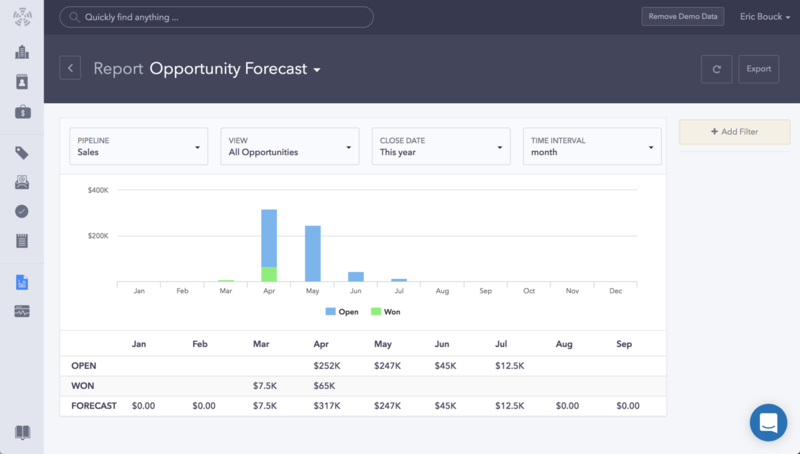 One of your sales team’s biggest challenges is forecasting revenue – especially since you likely have a range of prospects at different stages of your funnel at any given time. Part of the trouble is estimating which leads are most likely to become customers. There may be a large variance in the size of your opportunities and the likelihood of closing each one. 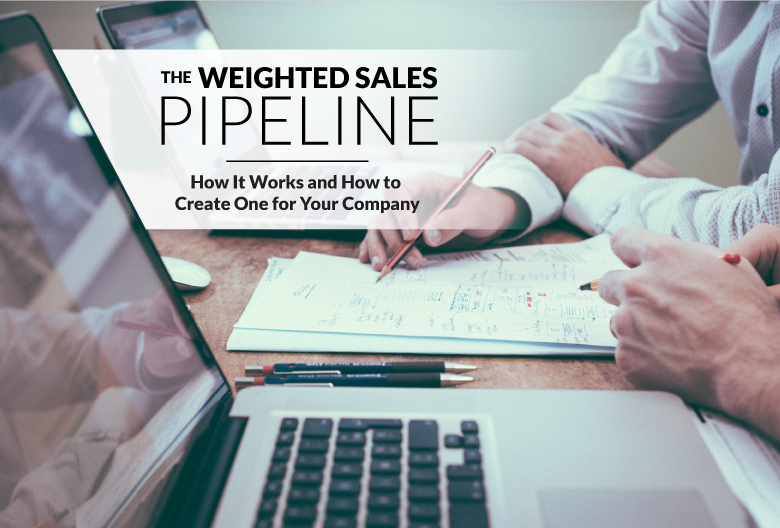 Though there’s no guaranteed way to predict success or forecast sales perfectly, a weighted pipeline can help paint a more accurate picture of your sales pipeline’s overall value. Your sales pipeline can be either weighted or unweighted. An unweighted pipeline looks at the full potential value of opportunities at every stage of the sales funnel. Each deal is considered equally likely to close, whether you’ve recently initiated contacted or they’re ready to sign on the dotted line. This can lead to inflated revenue forecasts if high-value opportunities fall through. A weighted pipeline, on the other hand, acknowledges that not every opportunity results in a sale. It is a more detailed method that assigns a value to each deal based on where it is in the sales funnel. In a weighted pipeline, opportunities with higher likelihoods of closing are given more weight in sales forecasts. This helps account for the fact that not all leads become customers. The idea is that the further along a deal is in your pipeline, the greater the probability it will close. So, instead of simply stating that you have five active prospects and $100,000 in potential sales, you might say you have five opportunities with a 50% or higher chance of closing a sale. Each sales stage is given a percentage that represents probability of closing. For instance, deals at stage three in a six-stage pipeline might have a 50% likelihood of closing. The percentage is then multiplied by the value of the opportunities at that stage and the result is used to forecast sales. In this case, $50,000 would be included in the sales forecast based on probability. You would repeat these process for each stage of your pipeline and add up the totals to get your weighted forecast. Ideally, any overestimations and underestimations would even each other out. The most difficult part is estimating the probability of closing at every step in your CRM. These estimates differ between businesses depending on factors like the number of stages in the sales funnel, company size, and how long it takes to close a typical deal. 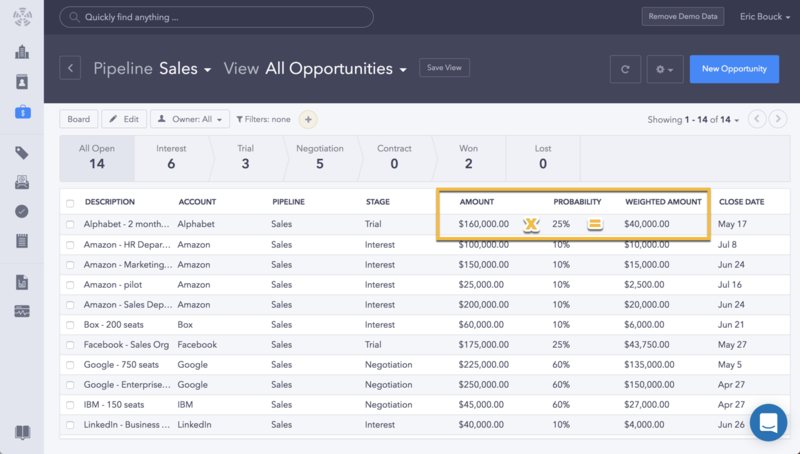 A weighted pipeline is designed to give you a high-level impression of your sales opportunities. It hinges on consideration of how far along the pipeline each prospect is and how likely they are to make a purchase. This helps forecast revenue and is particularly effective for businesses with numerous opportunities in the works and clearly defined pipeline steps. Since a weighted pipeline is based on probability, the values become more reliable with more data. So the more deals you have in your pipeline at any given time, the more likely you are to benefit from a weighted sales pipeline. Unfortunately, relying on a weighted pipeline can sometimes lead to unrealistic expectations. For instance, if a small company has two major opportunities and one of them falls through, then a weighted pipeline could throw off their entire forecast. If you have a large variance in the size of your deals (for instance, one opportunity worth $100,000 and another worth $10,000), a weighted pipeline puts you at a greater risk for missing your expected quota. If both deals have a 50% probability of closing, your forecast would be $55,000. However, if either one of these deals falls through, your forecast would be off by a significant margin. Additionally, there are elements that a weighted pipeline does not account for, including repeat business, the performance of each sales rep, and other factors that can complicate a deal. Is a Weighted Pipeline the Best Choice for You? Although a weighted pipeline provides businesses with an overview of their entire pipeline, it’s not the best solution for every team. 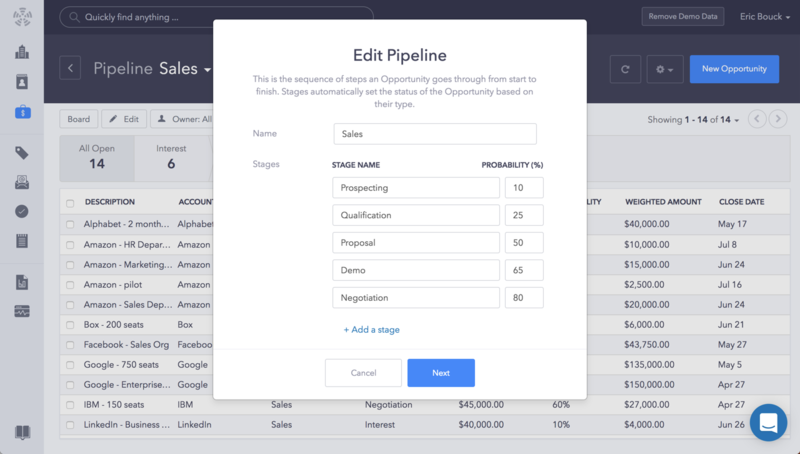 A weighted pipeline is appropriate if you have wide range of opportunities at every stage of your funnel and need a simple method to forecast potential sales. An alternative method is to look at the probability of each individual deal. Calculating the probability of specific opportunities in your pipeline often results in more accurate forecasts, especially for smaller companies with fewer ongoing deals at once.